Last minute of the rescue of Julen, the child who fell into a well in Totalán (Málaga): "without rest" to re-profile the tunnel and arrive "as soon as possible"
"We continue working tirelessly, every time we feel we are closer to Julen and do not doubt that we are still betting on the solution that was designed and that we hope it will pay off very soon", are the last words of Ángel García , delegate of the Colegio de Engineers from Malaga, about the rescue of Julen , the two-year-old boy who fell into a well in Totalán (Málaga) 10 days ago and whose rescue is increasingly encountering more obstacles. At dawn on Tuesday, when everything seemed to indicate that the eight miners who are responsible for digging the last 4 meters to reach the small, a new unforeseen. About 06.15 hours on Tuesday, when they had introduced 42 meters of pipe, "important discontinuities appeared on the walls of the gallery, some irregularities that are quite common in this type of drilling and with these materials" and that forced not only to remove the tubes of the perforation but to try to remedy to arrive as soon as possible until the child. That is why the elimination of these discontinuities with the machinery that made the first drilling is now being carried out and then the 42-meter jacket that was removed will be introduced, to finish then the remaining 18 meters to the tunnel's 60 meters parallel, "plus additional 12 meters that are necessary for the performance of the rescue team" mining. 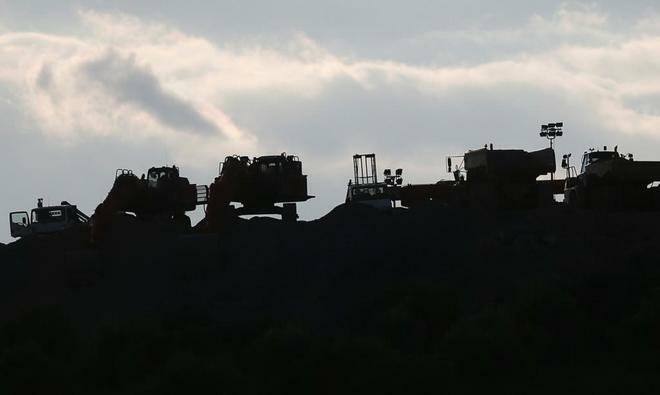 The preliminary tasks to the execution of the horizontal excavation that the miners will develop to rescue Julen has found new technical difficulties. The works, as they have been happening for nine days, have continued without rest and during the day it is expected to finish the jacket. One of the biggest difficulties is to fit the window from which the specialists of the Hunosa Mining Rescue Brigade will start digging about four meters horizontally, 72 deep, to reach the well where the small one is located. In this estimate about 24 hours so it would come to this Wednesday . The former head of the rescue brigade of Hunosa, Santiago Suarez , has assured Cope that the miners who have moved to Totalán to rescue Julen from the well "are eager to start." "The team is prepared psychologically and physically" and has indicated that "they are accustomed to mining and confined spaces are not going to be any problem" . The former head of the mining rescue brigade points out that this is a "complicated job, the section is small and has to be ventilated, so the rock was hard and the terrain was difficult ". The team, in addition, will have to go propping up a space that "each time will become smaller, right now they are working on their knees in shifts of one hour". Suarez confirms that there is communication with the men who are on the surface "and who are anticipating the material they need for the rescue." The miners will dig manually this horizontal gallery of about four meters to connect with the well where Julen is, in what they can use about 24 hours. For this, they will carry, among other materials, a compressed air hammer , axes and wood to fasten (prop up) the tunnel they must drill. The hardness of the land will determine the duration of the work for which the miners have evaluated all the possibilities, including the use of an explosive, if necessary, to remove the land by means of microvoladuras. An all-rounder from the Civil Guard of the rescue operation overturned on Sunday on the access road to Totalán , although its two occupants suffered significant injuries. The troops of the Special Group of Underwater Activities of the armed institute, displaced from the first day to the place of the events, were able to leave by themselves the vehicle, which was overturned in the road of the road that connects Rincón de la Victoria with Totalán . After the accident, the two agents were taken care of by a sanitary team and even participated in the regulation of traffic after the accident, as Efe could verify, and later a crane lifted and removed the SUV from the road . Experts in explosives from the Civil Guard have gone to the rescue operation of the small Julen, according to the sources consulted, since the operators of the different companies have made microvoladuras of the land to facilitate the clearing of the hill and collaborate with the excavators in the movement of land. The work of the explosives agents of the Benemérita is to provide their service "if necessary", although at the moment it has not been necessary.